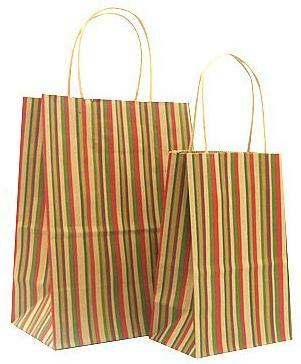 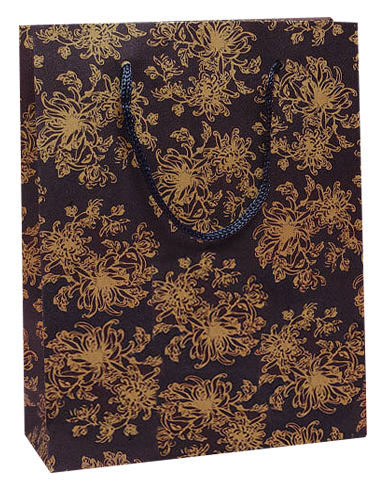 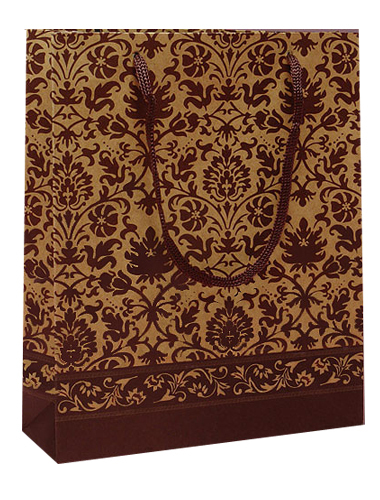 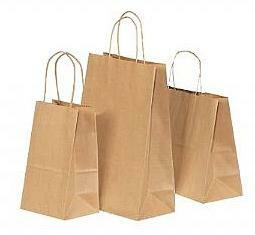 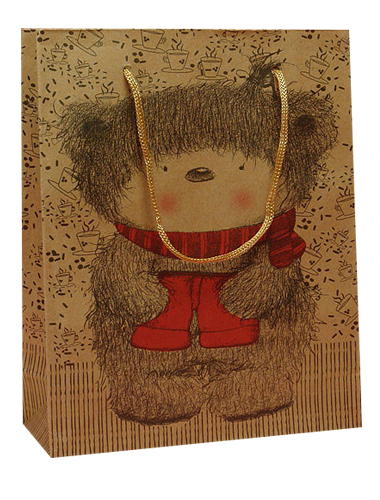 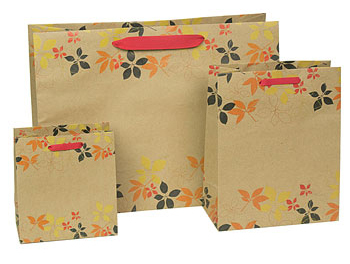 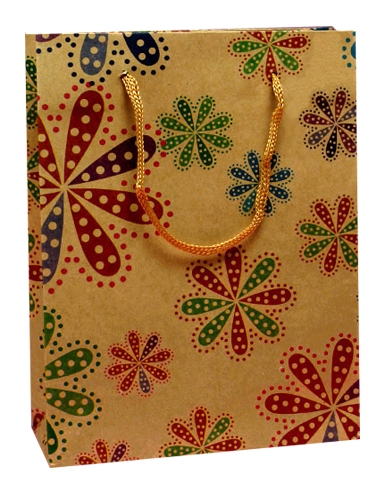 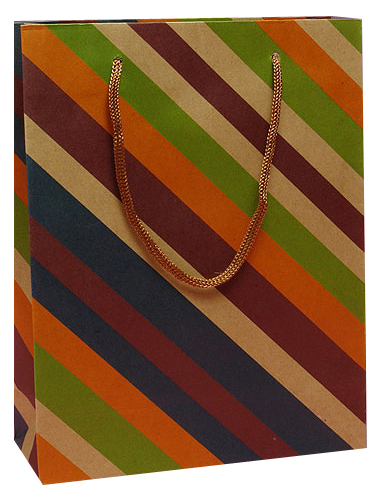 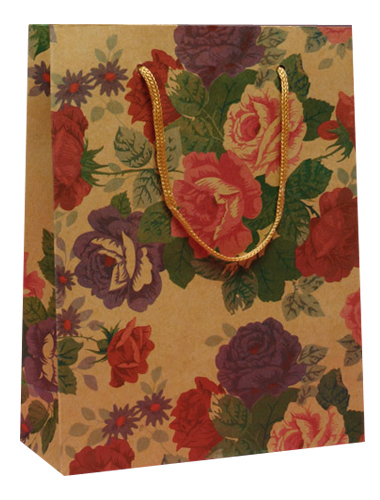 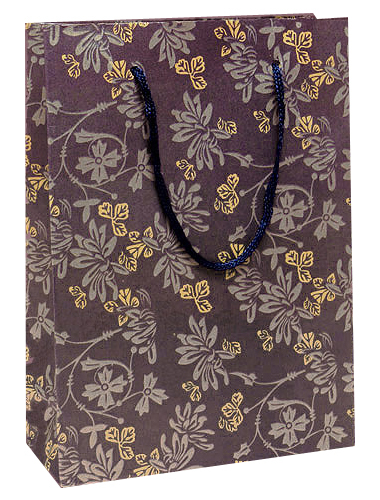 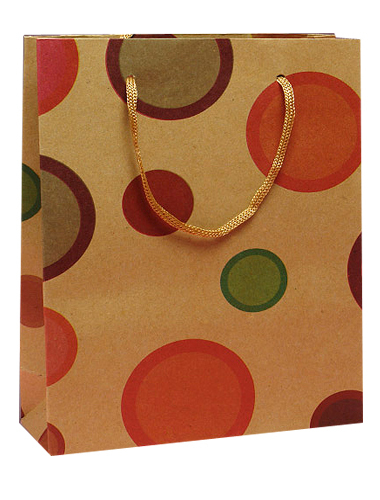 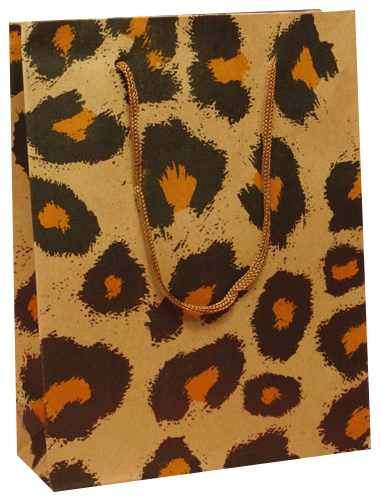 As eco friendly shopping bags,brown paper gift bags are cheapest stock bags. 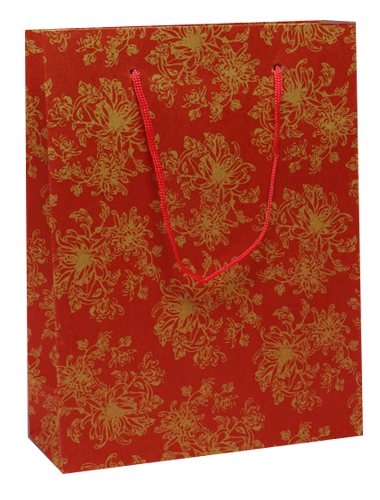 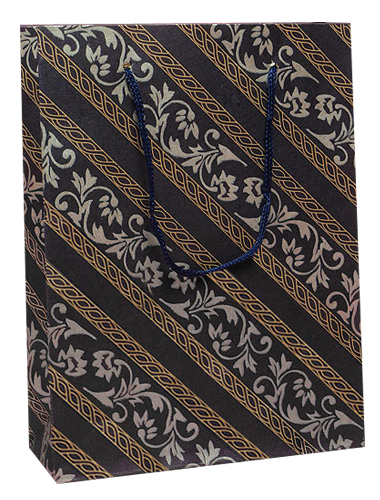 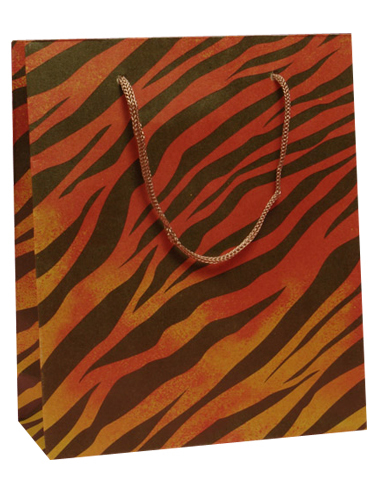 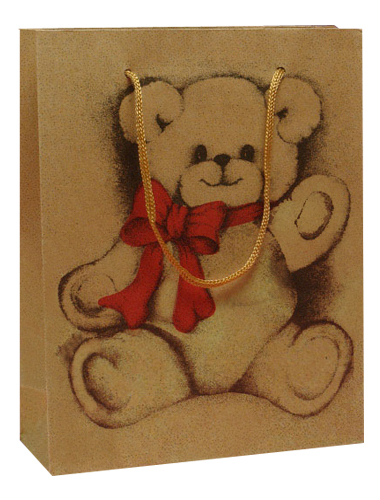 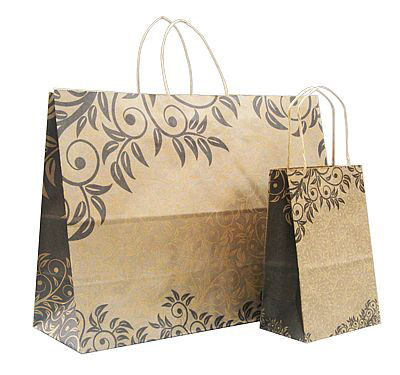 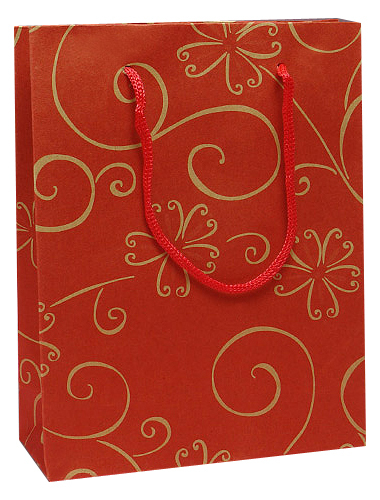 Paper Bags Shop offer wide range of brown paper gift bags that come in many popular size,design,handle to fit different occasion at very cheap price. 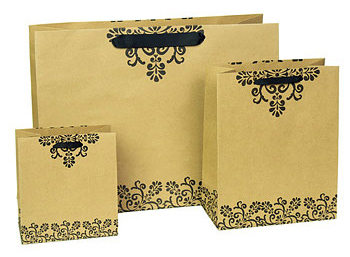 Those brown paper gift bags are made from 120g brown kraft paper with colored cotton tape handle,nice looking,offering more luxury eco friendly packaging for any products.Custom logo can be printed on bags by hot stamping.Paper Bags Shop wholesale luxury brown gift bags coming in 3 designs and 3 sizes. 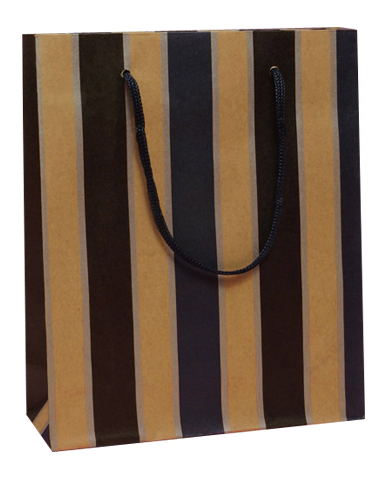 size 1) 5 x 3 x 8 2) 8 x 4 x 10" 3) 16 x 6 x 12"
These brown paper gift bags are made from 100g recycled kraft paper,with creative design ,twisted handle,Paper Bags Shop wholesale twisted handles kraft gift bags coming in 3 designs and 4 sizes,custom logo can be printed on bags by hot stamping. 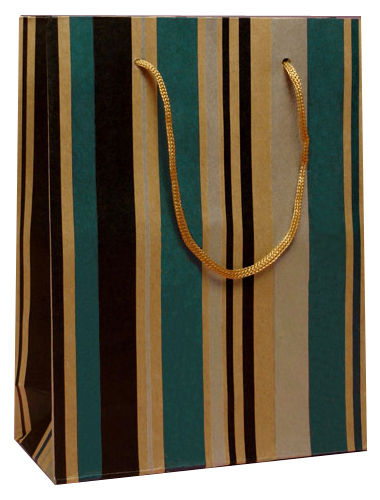 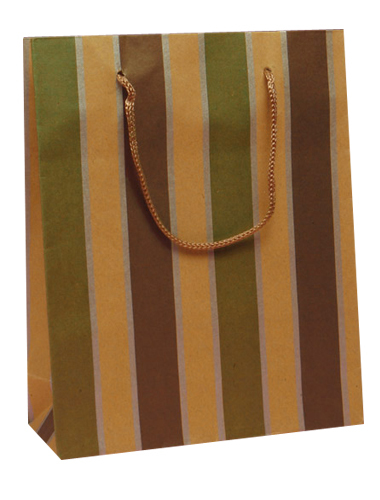 2) 8 x 4-1/2 x 8"
5) 12 x 5 x 16"
6) 16 x 6 x 12"
These brown paper gift bags are made from 120g brown kraft paper,with stripe design,colored cotton rope,reinforced paper board at top and bottom of bags.Custom Logo can be printed on bags by hot stamping,Paper Bags Shop wholesale luxury kraft gift bags coming in 4 colors and 4 sizes. 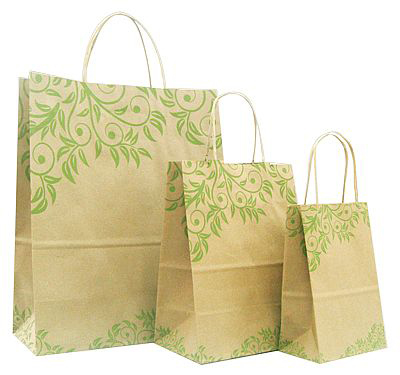 size:1) 5-1/2 x 3-1/2 x 8-1/2"
2) 8-1/2 x 4-3/4 x 10-1/2"
3) 10-1/2 x 5-1/2 x 13-1/2"
These plain kraft paper bags are made from recycled kraft paper,with twisted paper handle,100% bio-degradable,coming in 12 size,custom logo can be printed on bags by hot stamping. 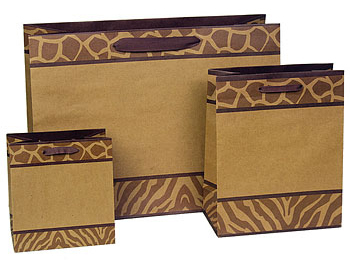 size 1) 5-1/2 x 3-1/4 x 8-3/8" 2) 5-1/2 x 3-1/4 x 12-1/2"
3) 8 x 4 x 8" 4) 8 x 4-3/4 x 10-1/2" 5) 10 x 5 x 10" 6)10 x 5 x 13-1/2"
7) 13 x 6 x 15-3/4" 8) 13 x 7 x 17-1/2" 9) 14 x 9-1/2 x 16-1/4"
These recycled paper bags are printed with solid colors and twisted paper handle,Paper Bags Shop wholesale recycled kraft bags with solid color coming in 6 colors and 5 size,custom logo can be printed on bags by hot stamping to get personalized eco friendly shopping bags. 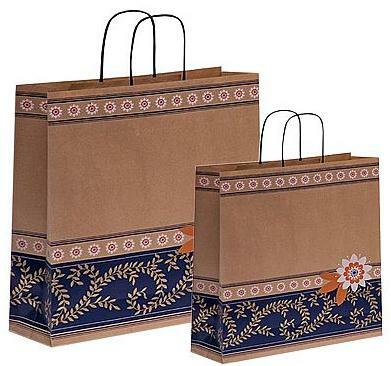 size 1) 5 x 3 x 8" 2) 8 x 4 x 10" 3) 10 x 5 x 13"
1)5 x 3 x 8" 2) 8 x 4 x 10" 3) 10 x 5 x 13" 4) 16 x 6 x 12" 5) 16 x 6 x 19"
What is the best way to get eco friendly shopping bags with custom logo printing? 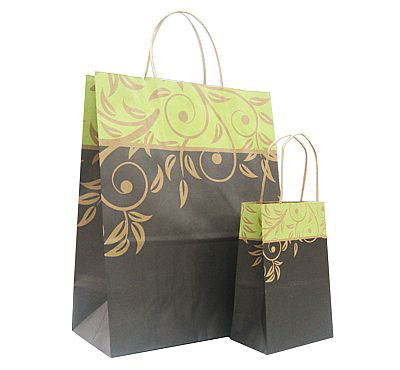 First, if your quantity is large enough, it is the best choice to find a paper shopping bags manufacturer to create brown paper shopping bags based on your specification--the same size,color,shape to fit your products and business.Second if you just need hundreds of paper shopping bags,if you select custom made paper bags,the cost to create custom made bags will be high,in this way,it is the best choice to chose brown paper gift bags from Paper Bags Shop then hot stamp custom logo on those bags by foil.You can get cheap eco friendly shopping bags with different design and themes as well as with shiny hot stamping logo to promote business brand in green and most cost effective way. 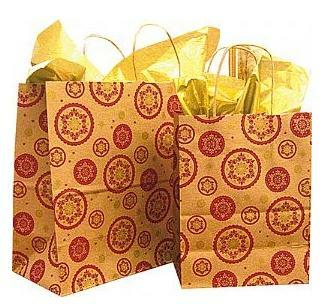 Brown paper gift bags at Paper Bags Shop are made from 100% recyclable and bio-degradable,even some recycled paper--contain post consume material.So those brown paper gift bags are environmentally friendly.As eco friendly shopping bags, Those brown paper gift bags come in many popular sizes to fit different ends.With different handle such as twisted paper handle,rope handle,ribbon handle,those brown paper gift bags offer more feeling and touch to wrapped goods. 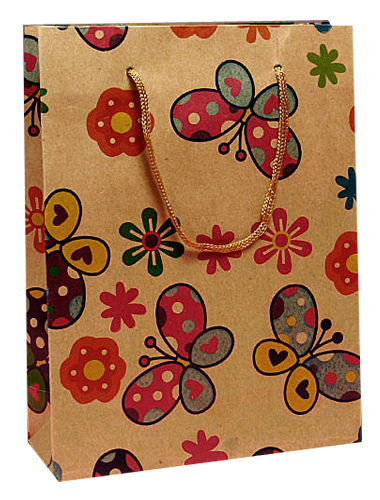 Contact with us now to get cheap brown paper gift bags,print your custom logo on bags to create personalized paper bags.